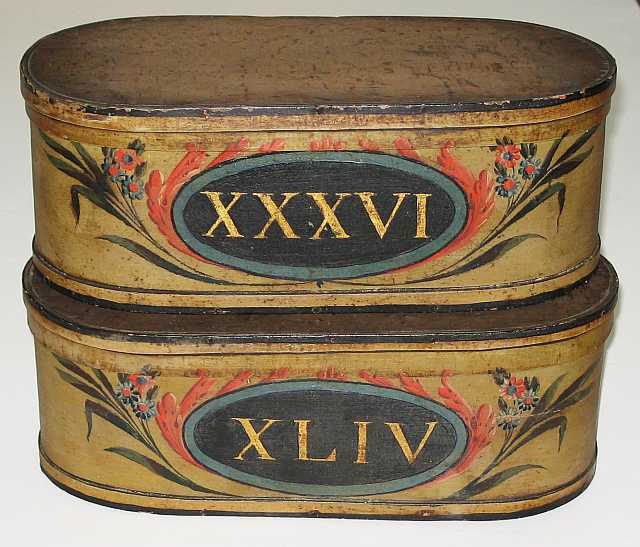 Set of 14 rare Italian apothecary boxes, each with polychrome decoration and gilt Roman numeral identification. Verona, Italy. From the Estate of Tony Duquette. 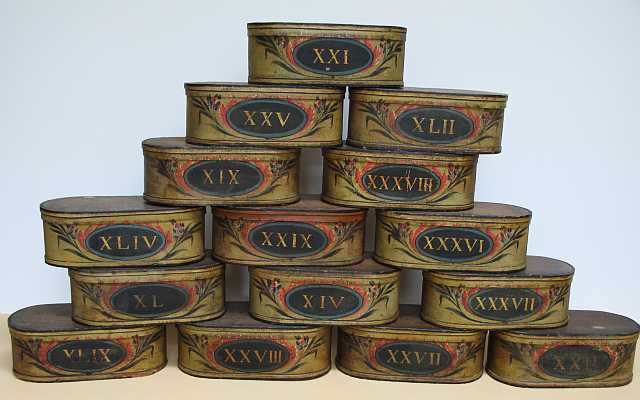 (number XXVIII) has been sold.